For those who would rather steer clear of going under the knife to shave a few years off their appearance, this new aesthetic procedure using Botox or Dysport works without visible wounding the skin and is quickly gaining popularity…The Liquid Facelift. The Liquid Facelift is a facial contouring procedure that involves the use of strategically placed Botox and dermal fillers around the face. This "injectable facelift" can create a younger, plumper look and address concerns like lines, wrinkles, volume loss and sagging. 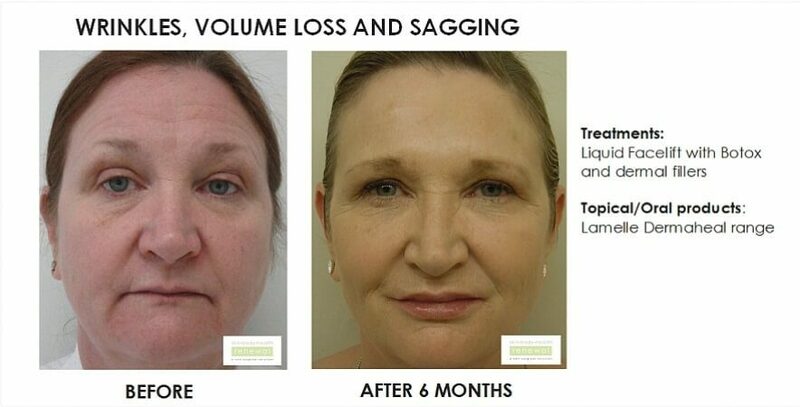 This Liquid Facelift has been making a noticeable impact in aesthetic medicine during the past few years. It is typically more subtle than surgery and an increasing number of individuals are trying liquid facelift procedures before traditional face lift procedures. Are Botox ® & Dysport treatments available at all Skin Renewal branches? Botox® & Dysport treatments are available in Johannesburg / Sandton at Fourways, Parkhurst, Morningside, Bedfordview, West Rand and Illovo as well as in Pretoria / Centurion at Brooklyn & Irene and in the Western Cape / Cape Town at Cape Quarter, Claremont, Constantia, Stellenbosch, Willowbridge and KwaZulu-Natal at Durban & Umhlanga. How much does Botox ® & Dysport ® cost? When phoning around to compare Botox ® & Dysport prices, it is important that the clinic quotes the amount of Botox® or Dysport units you will be receiving if they quote per area. It is best to compare the price per unit as the clinic may quote you R900 per area but only inject 15 units in that one area- a suboptimal dose especially for the glabellar area- (the "11" area on the forehead). If suboptimal doses are given, the duration of effect of the Botox® & Dysport will be much shorter than the usual 3 to 4 months. The more units are given, the longer the duration effect of the Botox® & Dysport. At Skin Renewal Aesthetic Clinics we charge from R 80.00 per unit of Botulinum Toxin. We do not quote per area as the amount of units differs in each patient - male and female. Generally, men need approximately 1,5 times the amount of Botox® or Dysport that women need as men have a larger muscle mass. The usual quotation is approximately 20 units per area but with an experienced injector, if all 3 areas are injected in one session, less Botox® or Dysport units may need to be injected eg 45 to 50 units for 3 areas as opposed to 60 units (20 units per area). Men would need 1,5 times the amount of Botox® or Dysport. Keep in mind that the less units injected, the less the duration of effect. This is why it is so important to know exactly how many units you have received for each area. Baby Botox or Dysport "Baby Bo" as it is known in Hollywood is coined when less units are injected intentionally (usually in women) so that the duration of effect is much shorter allowing actors to have their facial expressions back sooner for a new role. This usually involves 40 units of Botox® or Dysport for 3 areas (in a woman) and this amount is only expected to last 8 to 10 weeks as less units are given. How much Botox ® is needed for each area? badly sun damaged skin changes the amount of Botulinum Toxin units needed . All of these above mentioned criteria will be assessed by the attending doctor before he or she administers Botulinum Toxin and this is why it is so important to choose a clinic where the doctor focuses on aesthetics and administers Botulinum Toxin to at least 5 to 10 patients a day. A doctor can only claim to be experienced in the administration of Botulinum Toxin after at least 1000 patients have been injected. At Skin Renewal all NEW patients MUST make a follow up appointment to see the doctor 2 weeks after the initial injection to assess final result. Additional injections may be needed to attain a perfect result. This will be charged accordingly if more than 2 to 4 units are needed for a top up. 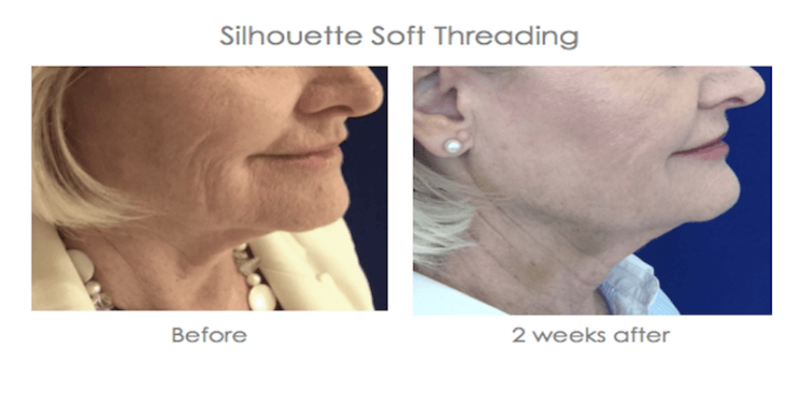 Where is Botox ® injected to reduce wrinkles? On the Upper Face: For a chemical brow lift , Botulinum Toxin, relaxes dynamic frown lines between the brow, on the forehead and the wrinkles around the eyes. Botulinum Toxin makes you look less worried, angry, or tired, and more relaxed, approachable, and confident. 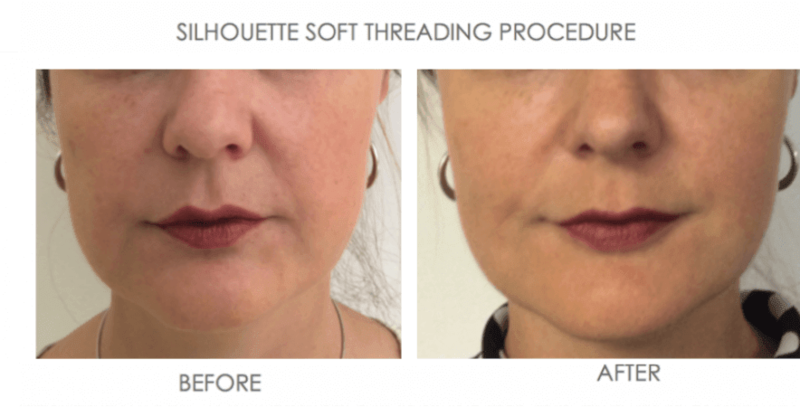 For the Lower Face: Botulinum Toxin, when used in small dilutions in a controlled fashion by a skilled physician with extensive experience, can cause a chemical jowl lift and decrease a permanent mouth frown, a very undesirable effect. What kind of wrinkles does Botox treat? Static lines or wrinkles are those facial lines that are evident even when our face is at rest and are due to volume loss and are better treated with dermal fillers. These two types of wrinkles are what separate Botulinum Toxin from any of the injectable fillers. Botulinum Toxin is for dynamic wrinkling. It is a muscle relaxing agent so it will soften the wrinkles and lines that occur from a dynamic facial movement, such as between the brows with frowning….or the crow' s feet from smiling… or around the mouth from excessive pursing of the lips.. With ageing, this repetitive motion the skin starts to show strain and deep folds and tiny wrinkles start to develop. Botulinum Toxin will also help prevent a mouth frown by relaxing the muscles that exert a downward pull to the mouth. Alternative cosmetic uses of Botulinum Toxin on the décolleté: Botulinum Toxin, when used in small dilutions in a controlled fashion by a skilled physician, can cause a modest chemical bust lift by decreasing the effect of chest muscles which pull the breasts down. For the body: Botulinum Toxin injections also can be used to block chemical signals from nerves that stimulate sweat glands. See Botulinum Toxin underarms and Botulinum Toxin palms. For acne conditions: Botulinum Toxin when transdermed into the skin with a FDA approved machine, can decrease the secretion of sebum form the pilosebaceous unit, an important factor for acne conditions. Another off label indication for Botulinum Toxin is for chronic migraine. Botulism Toxin is injected into fixed-sites in varying locations, including the forehead, temples and potentially extending into the neck muscles. According to Allergan, the manufacturer of Botulinum Toxin, Phase III clinical trials showed a significantly greater decrease in headache days among patients receiving Botulinum Toxin, compared with those receiving a placebo. There are numerous medical conditions for which Botulinum Toxin is used. Botulinum Toxin is a purified botulinum neurotoxin type A complex, produced from a culture of the A strain of bacteria called Clostridium Botulinum Type A. Although the Clostridium bacteria cause botulism, the Botulinum Toxin facial extract does not. Botulinum Toxin has been used safely for over 15 years in the treatment of muscle disorders of the eyes and voice box, headaches, spasticity of the stomach, spasticity associated with cerebral palsy, and other neuromuscular disorders, in addition to its cosmetic indications. When we were younger and our skin had abundant collagen, the only lines and wrinkles we had were dynamic. Our face was otherwise wrinkle-free when we weren't animated. All dynamic wrinkles, with age, will eventually lead to static wrinkles as collagen is depleted and constant motion "cracks" the skin. Dynamic Wrinkles are caused by facial expressions and repetitive facial movements. Each time we use a facial muscle, a groove forms beneath the surface of the skin, which is why we see lines form with each facial expression. As skin ages and loses its elasticity, the skin stops springing back to its line-free state, and these grooves become permanently etched on the face as fine lines and wrinkles. How can Botox injections influence how people perceive you? You only have one opportunity to make an impression. First impressions are significantly influenced by facial expression. Research has revealed overwhelming data indicating that more attractive individuals receive better judgments and treatment from others. More recently, a US doctor has revealed from his research the positive impact Botox can have on first impressions. When should one start using Botox cosmetic? 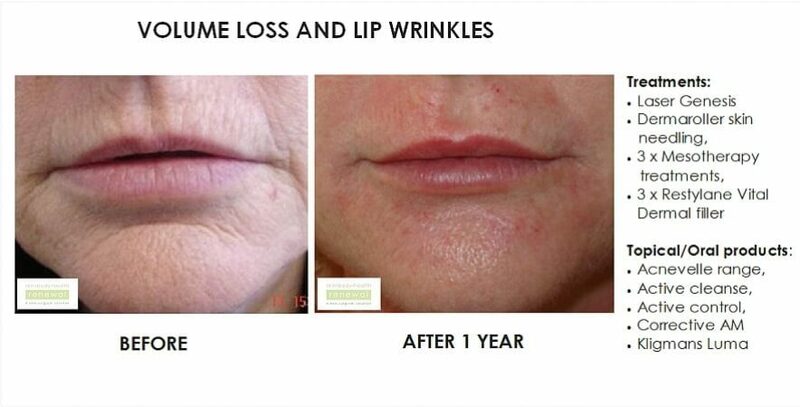 With the millions of Botulinum Toxin injections that are performed annually, evidence and experience have shown that prolonged use of Botulinum Toxin over a period of 10 years does slow down the ageing process .If we can relax these facial expressions with Botulinum Toxin, then we can prevent the breaks in the skin, commonly known as wrinkles. If the skin is continually relaxed, collagen can build up in the area that is treated and the wrinkle will improve. Repeated Botulinum Toxin injections (every 4 to 5 months) will ensure a superior long term result as collagen is not depleted by the constant motion of our muscles. How does Botox help the ageing process? As we age, the dynamics change and the depressors take over and combined with gravity, a gradual sagging of our brow and jawline takes place. If we can keep the dynamics between elevators and depressors neutral with strategically placed Botulinum Toxin injections every 4 to 6 months, then the sagging that occurs with ageing will be reduced. Multiple clinical studies have shown that a modest elevation occurs in the range of 1 to 3mms which in the face can be a make a real observable difference. Once the Botulinum Toxin "kicks" in 10 days later, the face takes on a relaxed and refreshed look and one's face appears to glow. In other words, an anti ageing effect is achieved because Botulinum Toxin relaxes the downward pressure that the depressor muscles exert on the facial tissues. This results in the elevator muscles of the face becoming more dominant, raising the brow and jawline and preventing the downturned mouth or mouth frown. Botulinum Toxin Facial injections have become an essential ingredient in facial wellness, erasing frown lines and relaxing worried brows. Botulinum Toxin Facial is safe and effective and has been approved for cosmetic use by the FDA. Botulinum Toxin Facial has become the most commonly performed cosmetic procedure and has been used for more than 10 years in aesthetic practice and more than 20 years in neurology and ophthalmology. There are many publications supporting its use. It has a long and impressive safety record. Botulinum Toxin Facial should be injected at a physician's office by an experienced and trained medical doctor with an intimate knowledge and understanding of the muscular anatomy of the face as well as the aesthetic implications of proper placement. The final outcome of a Botulinum Toxin procedure is very dependent on the experience of the injector. In addition Botulinum Toxin side effects will be minimized if done by a practitioner who has done over 1 000 procedures and who injects Botulinum Toxin cosmetic daily. What To Expect after a Botox treatment? After having had Botulinum Toxin injections, exercise should be avoided for twenty four hours. Try to avoid aspirin containing products or high-dosage vitamin E supplements for 48 hours before the Botulinum Toxin procedure unless medically necessary. Avoidance of these for 10 days prior to the procedure is recommended to avoid bruising. Within 4 days of the treatment you should start to see an improvement in your lines and the final result only " kicks in" 14 days later. 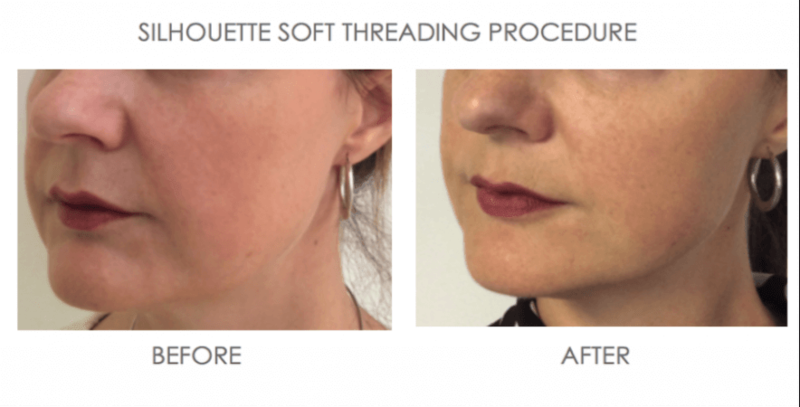 The result can last up to 4 months but varies from patient to patient and the initial amount of Botulinum Toxin given. Baby Botox is Botulinum Toxin given in 3 areas but in half the quantities of a usual procedure. This kind of Botulinum Toxin will only last 6 to 8 weeks and is useful in actors who need facial expression. With repeated Botulinum Toxin treatments, the result of Botox injections can last for longer periods. Some patients have a hyperactive brow and are constantly raising their brows. In these patients a shorter effect can be expected as the Botulinum Toxin is quickly "worked" out. Can all skin types be safely treated with Botox Facial? Yes, all skin types can be safely treated with Botulinum Toxin Facial. Overactive bladder which results in frequent urination ,inability to retain urine and thus frequent "leaks"
Clubfoot in babies a condition in which the heel and toes turn inward. Botox injections lengthens tendons by relaxing them, (previously treated by tendon lengthening surgery.) The club feet are then repositioned and stabilised in casts. This avoids the necessity of an operation to correct the defect. I have been visiting Dr Lawn for the past four years and have to say that the botox treatment he provides is second to none. In fact it is the best. I am from the UK and have had botox in England, America and other cities in South Africa but have to say that Lestonn Lawn is the only Doctor who I would use in the future. He really listens and also knows exactly which area to treat to give the best result. Of course all the wonderful people who work at Skin Renewal Fourways make the whole visit a pleasure. Brilliant coffee by the way!!! Always amazing service from Dr Toni and her staff. I've always had a caring, sensitive response and excellent treatment. Review -"Subtle changes with dramatic effects"
As usual, wonderful being treated by Anel and Dr Toni and the helpful staff at front desk. Highly recommended professionals! No one else will ever work on my face again. I highly recommend him! Never before have I been treated with such care and compassion.Thank you to the whole team, but especially Dr Graham. No one else will ever work on my face again. I highly recommend him! It took me a long time to gather enough courage to see someone about my ageing skin. Dr Marilyn made me feel so comfortable and explained all the treatments in such a way that I totally felt comfortable and at ease. She is such a wonderful doctor and I appreciate her understanding and sensitive way in handling my nervousness. Review -"Always make a plan"
Always willing to make a plan for us. Very friendly staff and amazing treatments. Review -"Friendly help at Skin Renewal Bedfordview"
Thank you for the friendly help. Lovely staff and great treatment. 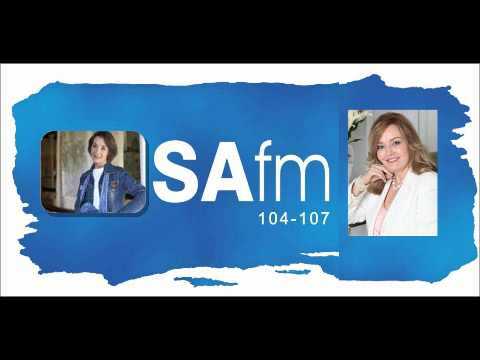 I am from Witbank and prefer to have my treatments done at Parkhurst Renewal Institute. The staff treat you with so much respect, they are friendly and always willing to help. Dr Marilyn knows exactly what I need and always takes her time to give me the best treatments, so I can look my best. Thank you for your great service. I was at the Country Club and a lady walked up to my husband and said: "Your wife is beautiful, she looks like a movie star." I told my husband:"It's Skin Renewal!" Review -"Great advice and treatments"
I have been seeing the Skin Renewal doc for a while now for various different things and just love how she takes so much time, explains everything and makes one feel so special at the appointment - (never feel rushed). I trust her advice and treatments 100%. Review -"Aiming for the best results!" I always have a wonderful session with Dr Gwen and excellent results! 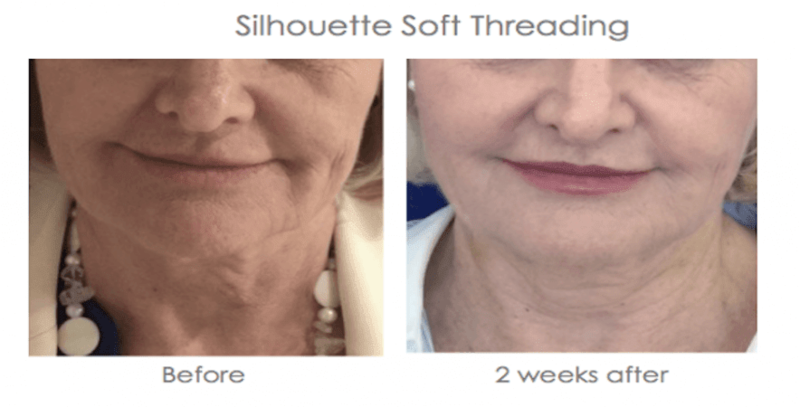 Review -"Botox® with Dr Shahra"
I visited the Cape Quarter team for my Botox Follow-up: Everything is perfect - in fact it was the best effect I have had with Boto yet! Thanks to Dr Shahra! Review -"The best service assistance and treatment"
Lovely people, extremely friendly and helpful always satisfied with each and every treatment that was done. Love the products. Thank you! Landa is very professional and any treatments done I always feel great here. The reason I keep coming back. My therapist Landa is very professional and any treatments done I always feel great here. The reason I keep coming back. Review -"Parkhurst is Knowledgeable & Confident"
Everyone is well knowledgeable on products. Have confidence in going through the Botox procedures. Excellent advise and service. Very happy with staff they're always helpful and very friendly. Botox and Fillers. Results are fantastic and education regarding the after care - thorough. Excellent, professional, friendly and reassuring service with my first experience with Botox and Fillers. Results are fantastic and education regarding the after care - thorough. Dr Xen is always charming, very knowledgeable and never suggests anything that is not necessary. His application of Fillers and Botox is always very natural looking and I can always go straight back to work after treatment. I am very comfortable with his recommendations and treatments. Great doctor, great service always. A wonderful experience in totally beautifully decorated surroundings. Dr Xen and the team were professional and I received excellent service, I am most grateful and appreciative! Thank you! A great experience and very friendly staff members. Review -"Botox and dermal fillers"
I never had anything but great results and practitioners who listen intently to concerns and treat accordingly. Never overdone! Review -"Greatest professionalism and friendliness"
When Sue-Anne became the manager, she gave me over into the care of Andrea, making sure she knew what my needs and preferences were. Both therapists are extremely helpful in suggesting products to use, and advising on further treatments like Botox, for which I have to thank Dr Xen as well.